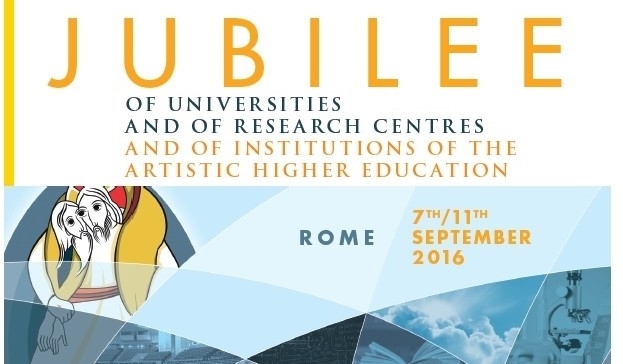 Il Giubileo dei docenti universitari e dei Centri di ricerca e di alta formazione (click here for English; full program at: http://uniurbe.org/). N.B. : Per partecipare all’evento occorre rivolgersi all’Ufficio Pastorale Universitaria del Vicariato di Roma, contattabile telefonicamente allo 06/69886342 oppure via email all’indirizzo jubileum.docentium@gmail.com. La Congregazione per l’Educazione Cattolica, unitamente all’Ufficio per la Pastorale Universitaria del Vicariato di Roma e al Ministero Italiano per l’Università e la Ricerca, nell’ambito dell’anno giubilare straordinario della Misericordia, promuove il Giubileo dei docenti universitari e dei Centri di ricerca e di alta formazione, in programma dal 7 all’11 settembre 2016, sul tema “Conoscenza e Misericordia”. Tale iniziativa colloca l’annuale simposio internazionale dei docenti universitari tra i grandi eventi del Giubileo programmati dal Pontificio Consiglio per la Nuova Evangelizzazione, ed è stata accolta dal Santo Padre, che riceverà in udienza i convenuti, sabato 10 settembre, a piazza San Pietro. Di seguito il programma dettagliato e le informazioni per parteciparvi. Comunicazioni e reti al tempo del terrorismo. Quale contributo ad una cultura della coesione? The Classics Department at the University at Buffalo has been authorized to hire a specialist in Roman Archaeology, effective August 24, 2017. The position will be at the assistant professor rank and will be tenure track. The department is seeking a teacher and researcher with a special interest in the archaeology of Roman Italy and the Roman Western Mediterranean. The successful candidate should have an active program of field research in those areas and must hold a PhD in an appropriate discipline at the time of appointment. The appointee will be expected to teach courses in Roman Art, Archaeology and History at both the graduate and undergraduate levels (a 2:2 teaching load); to assist with general education instruction; to supervise MA theses and PhD dissertations; to conduct and publish original research; to perform departmental, college, university and professional service; and to play an active role in the University at Buffalo’s Institute for European and Mediterranean Archaeology (IEMA). To apply please upload a letter of application, a current CV, a writing sample of no more than twenty (20) pages and the names of three individuals who can provide confidential letters of reference at: https://www.ubjobs.buffalo.edu/applicants/jsp/shared/position/JobDetails_css.jsp. The deadline for the application is December 1, 2016. The search committee will interview selected candidates during the AIA/SCS meeting in Toronto, Canada (January 5–8, 2017). Please direct any inquiries to: Stephen L. Dyson, Park Professor and SUNY Distinguished Professor (cldyson@buffalo.edu), Chair, Roman Archaeology Search Committee, Department of Classics, 338 Millard Fillmore Academic Center, University at Buffalo (The State University of New York), Buffalo, NY 14261. UB is an AA/EOE and welcomes all to apply including veterans and individuals with disabilities. 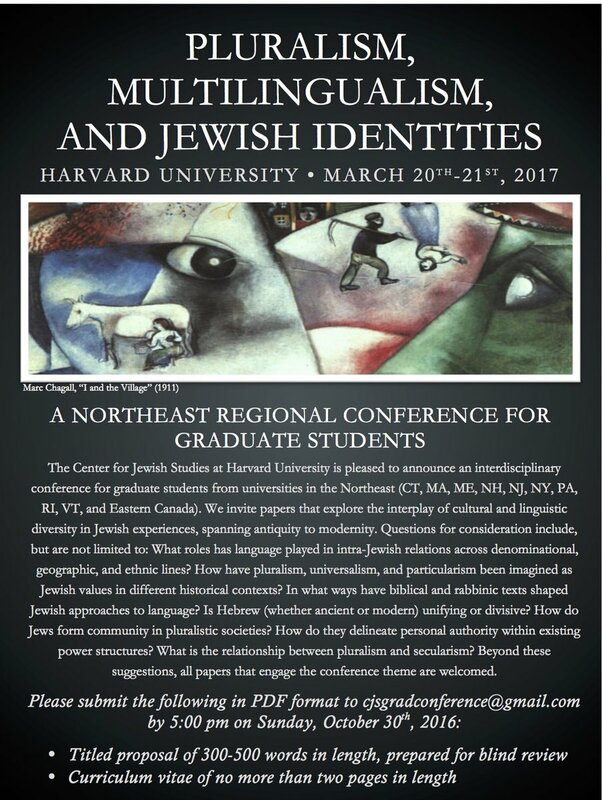 What roles has language played in intra-Jewish relations across denominational, geographic, and ethnic lines? 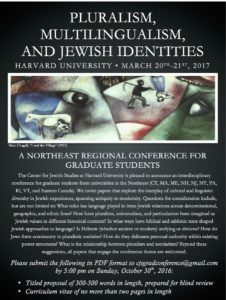 How have pluralism, universalism, and particularism been imagined as Jewish values in different historical contexts? 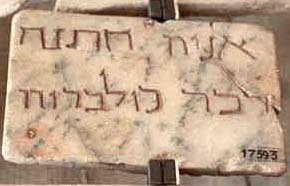 In what way have biblical and rabbinical texts shaped Jewish approaches to language? Is Hebrew (whether ancient or modern) unifying or divisive? 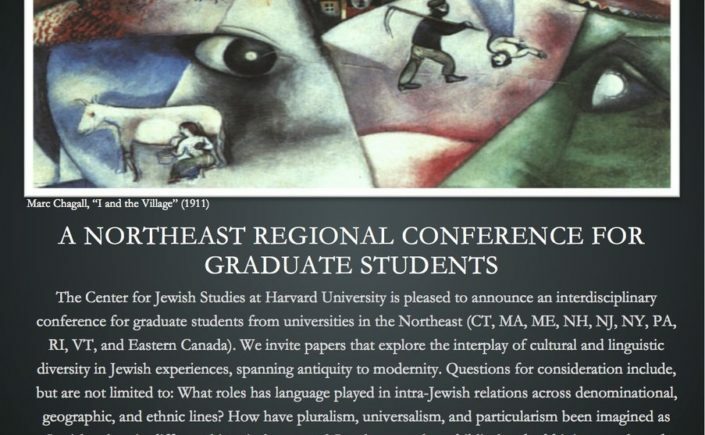 How do Jews form communities in pluralistic societies? How do they delineate personal authority within existing power structures? What is the relationship between pluralism and secularism? Beyond these suggestions, all papers that engage the conference theme are welcomed. Titled proposal of 300-500 words in length, prepared for blind review. Curriculum vitae of no more than two pages in length. “The Nike Chariot Earring” starring ICS Co-Founder Florence Z. Wolsky at MA IFF Friday August 26 at 7 p.m.
Karen Audette's award-winning documentary, The Nike Chariot Earring", relates a crime story stranger than fiction, and with a happy ending! 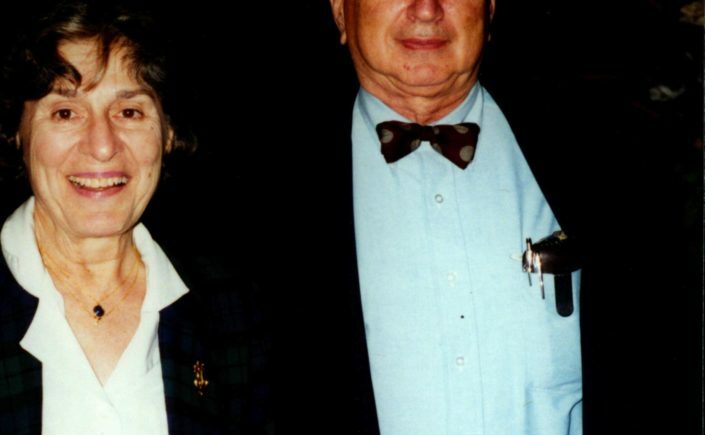 All thanks to Florence Z. Wolsky, International Catacomb Society co-founder and longtime staff member of the Department of the Art of the Ancient World at Boston's Museum of Fine Arts, who would never let a treasure of Classical Greece fall into the hands of modern day barbarians. Her determined sleuthing is the focus of Audette's account of the theft and recovery of "the most valuable object ever taken from an American museum" up to that time, in 1963. There will be a showing of "The Nike Chariot Earring" at the Massachusetts Independent Film Festival on Friday, August 26 at 7 p.m. at the Brattle Theatre, 40 Brattle Street, Cambridge, MA. For tickets, please visit the site, http://www.massiff.org/. For the Nike Chariot earring, visit the Museum of Fine Arts - thanks to Florence, it's still there! Link to the Boston Globe article (August 22, 2016). Job Posting: Director, Cyprus American Archaeological Research Institute (CAARI), Nicosia, Cyprus. To begin 1 July 2017. (BU Archaeology): The Institute: Founded in 1978, the Cyprus American Archaeological Research Institute (CAARI) is an American not-for-profit organization located in Nicosia, Cyprus. 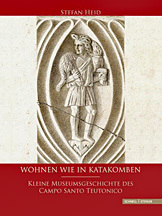 The mission of CAARI is to promote the study and knowledge of Cypriot archaeology and related disciplines. With a newly expanded and technologically outfitted library space, CAARI is one of the most important centers for the study of archaeology and related history and culture in the eastern Mediterranean. Affiliated with the American Schools of Oriental Research (ASOR) and the Council of American Overseas Research Centers (CAORC), CAARI offers international and Cypriot scholars comprehensive research facilities through its world-class library and technical support facilities. CAARI also conducts lectures, seminars, and symposia for professional and lay audiences; offers fellowships for U.S. and international students and established scholars; and maintains a residence for overseas students and scholars. See our website www.caari.org for further information and job description. Responsibilities of the Director: The Director directs and manages CAARI’s research center, its staff, and its residence in line with the policies and decisions of the Board of Trustees of CAARI. Responsibilities of the Director include the on-going development of its library, preparation and implementation of scholarly and public programs and events, facilitating and supporting the work of fellows and visiting scholars, and providing services for archaeological projects in Cyprus. The Director reports to the Executive Committee of CAARI and works with the Board of Trustees in broadening U.S. and international interest in Cypriot studies and on strengthening bonds with the Cypriot community, as well as with U.S. and European research institutions. Along with the Board of Trustees, the Director prepares strategic plans for CAARI and assists in fund raising. Qualifications: Must have substantial knowledge of archaeology in the eastern Mediterranean with research experience in Cyprus. Ph.D. in archaeology or related field is preferred, but equivalent academic experience will be considered. Knowledge of modern Greek an asset. Administrative management experience, leadership skills, ability to converse with U.S. and international academe, strong people skills, good private and public speaking ability are requisite. Essential is capable interaction with government agencies of the Republic of Cyprus. Compensation: An attractive package of salary and benefits is offered. Specific terms negotiable. Terms of Service: Three year initial contract preferred, with renewal possible. Deadline for Application: Application comprising a cover letter, curriculum vitae, a statement of not more than two pages setting out the candidate’s vision of CAARI as an American overseas research center, as well as names and contact information for three references must be received by September 20, 2016. Email application to CAARI at following email address: caari@bu.edu. Shortlisted candidates will be interviewed at the annual meeting of ASOR in San Antonio, Texas in November. CAARI is an equal opportunity employer. 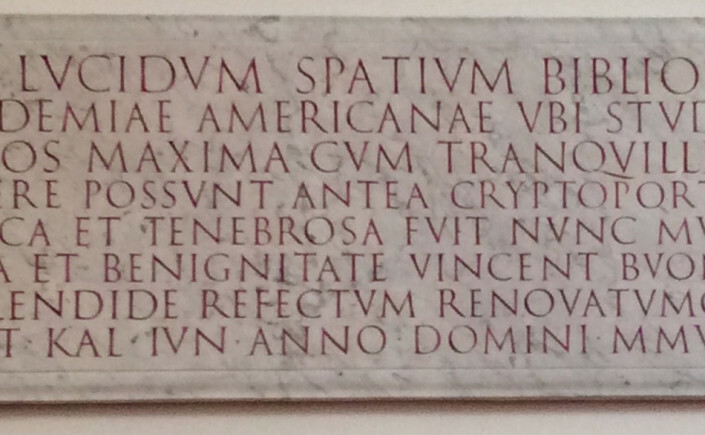 (Source: AARome.org): The American Academy in Rome (AAR) invites qualified individuals to apply for the position of Academy Director, starting summer 2017. The individual selected to fill this Rome-based position will ideally have an established reputation in one of the four humanities disciplines served by the AAR (ancient studies, medieval studies, renaissance and early modern studies, and modern Italian studies) or one of the seven arts disciplines served by the AAR (architecture, landscape architecture, design, historic preservation and conservation, literature, music, and visual arts). Broad cultural interests, as well as some degree of fluency in spoken and written Italian, is also desired for this position. Reporting to the President/CEO based in New York, the Director works with the President on intellectual and programmatic activities and provides managerial leadership for all AAR activities in Rome, including a diverse Italian and American staff of approximately 45. The Faculty of Humanities and Performing Arts at UWTSD Lampeter is seeking to appoint a Lecturer in the Late Antiquity period with a particular focus upon either Ancient Religions or Ancient Medicine. 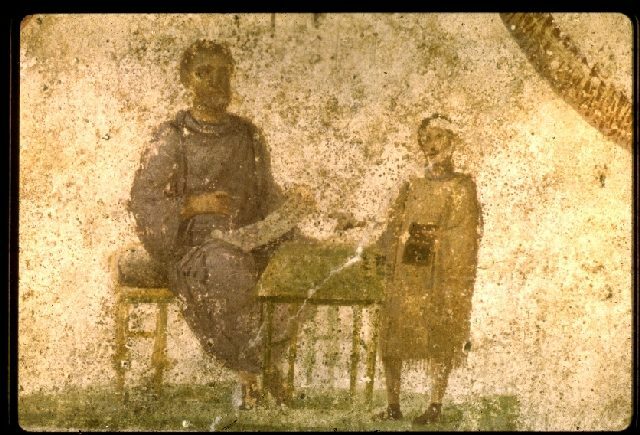 Experience in teaching, delivery, assessment and student support at undergraduate and postgraduate level in Late Antiquity with particular reference to Ancient Medicine or Ancient Religions will therefore be required.